Congratulations to HOLT and our clients for receiving design awards from the American Institute of Architects Southern New York Chapter! 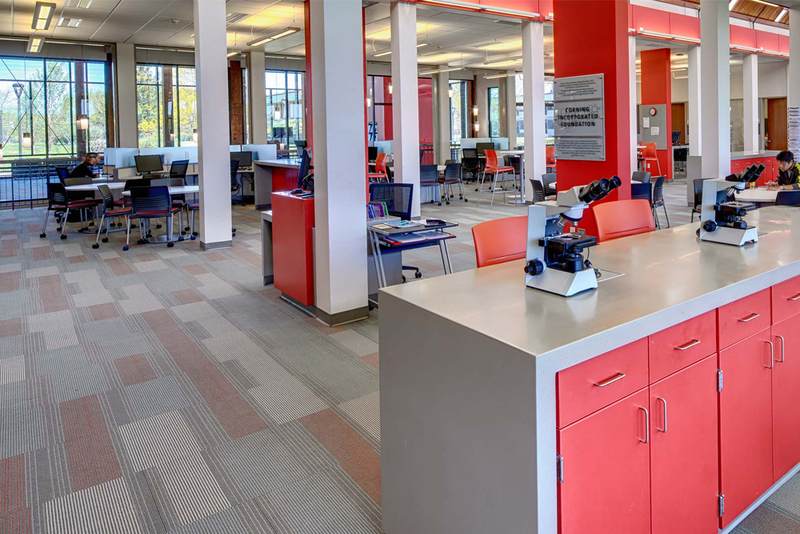 The University of Rochester’s iZone is a visual, academic and culturally stimulating innovation center where students go to engage, explore and imagine ideas. The two-story space includes an open amphitheater with step seating and visually magnetic “idea booths” that make a resounding first impression when entering. Lighting, color, and furniture punctuate the functional design and create a balance of the professional and playful. 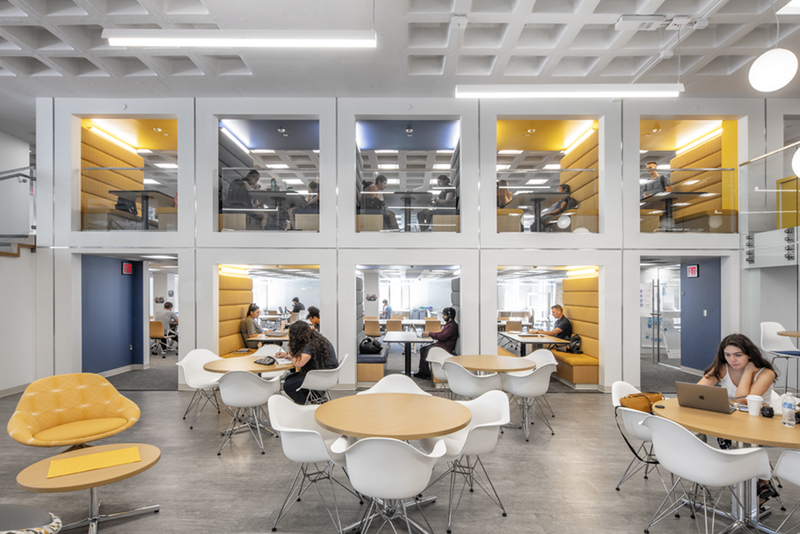 IZone’s diverse and specialized spaces inspire imagination, catalyze ideas, and promote innovation within the walls of the most iconic and historic building on campus, the Rush Rhees Library. Click here to view more photos! 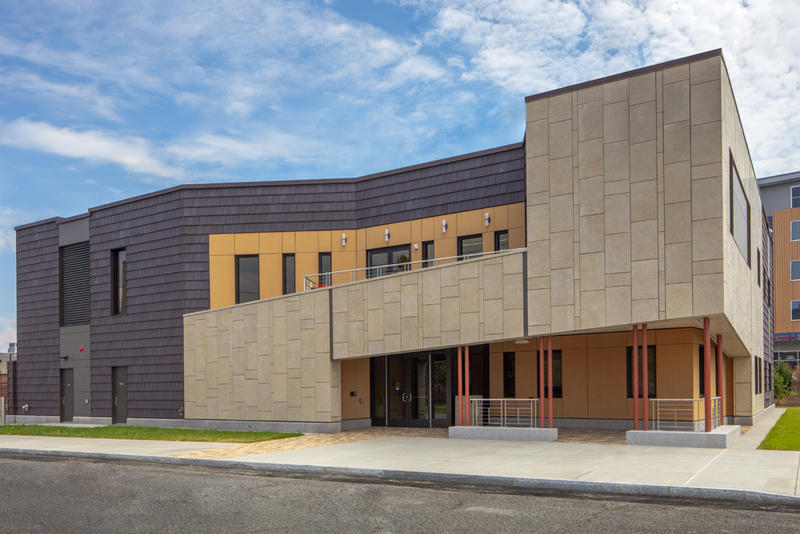 SUNY Buffalo State’s new Alumni and Visitor Center is an iconic gateway building with a focus on engaging prospective students and their families, alumni, and the surrounding community. The architectural volume carves away at the ground-floor, creating transparency, calling visitors into the space, and seamlessly linking indoors with outdoors. An active two-story central engagement space showcases the campus brand and connects visitors to public program spaces. A communicative stair brings visitors onto an interior balcony that wraps around the entire second-floor and overlooks the engagement space. 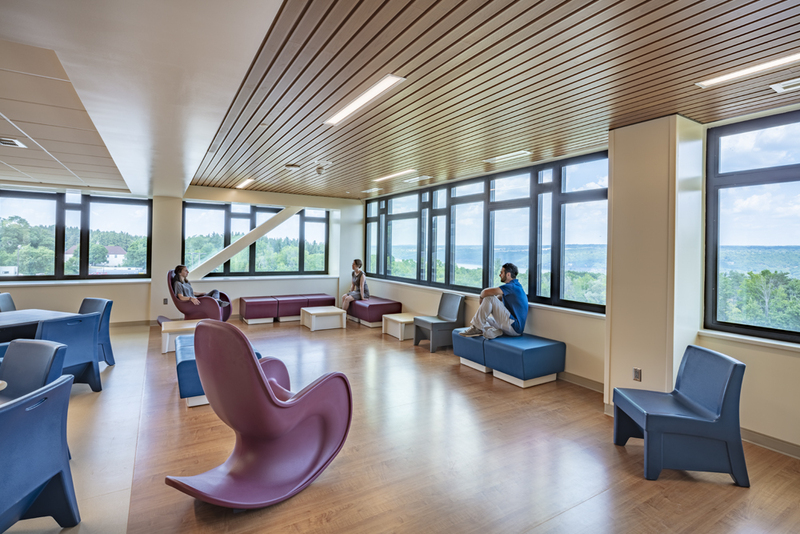 The orientation room, a key space on the second-floor, gestures outward toward the campus and connects to a second-floor patio, offering a glimpse of daily life at Buffalo State. Click here to view more photos! 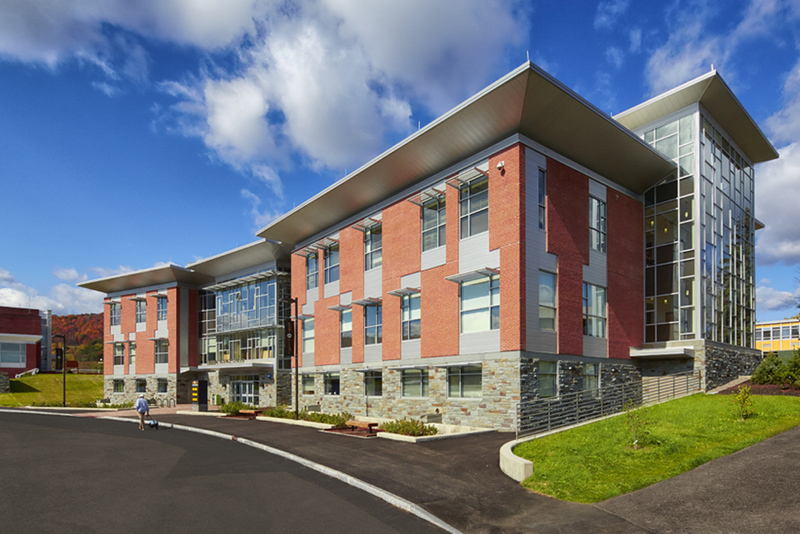 The new Community Practice Building at Cornell’s College of Veterinary Medicine is a beacon for pet health and wellness. 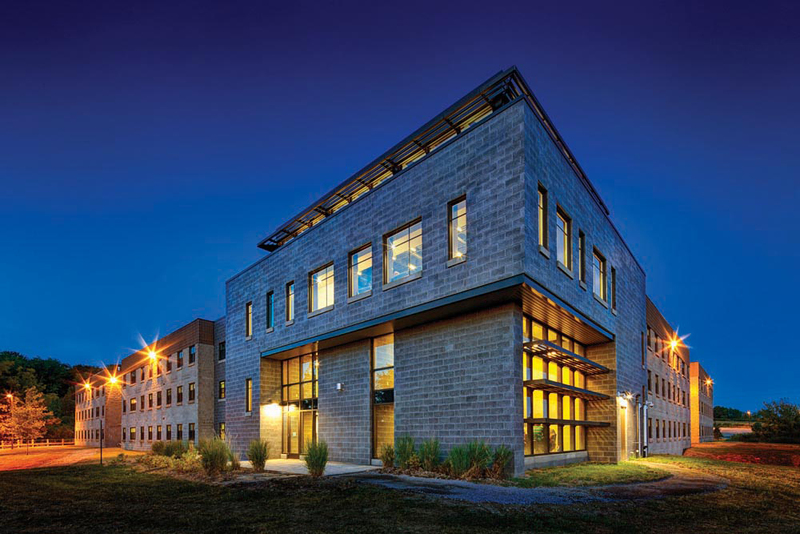 The 10,000sf building’s unique form is responsive to neighboring agricultural structures and makes a positive visual impact at the gateway to the campus. 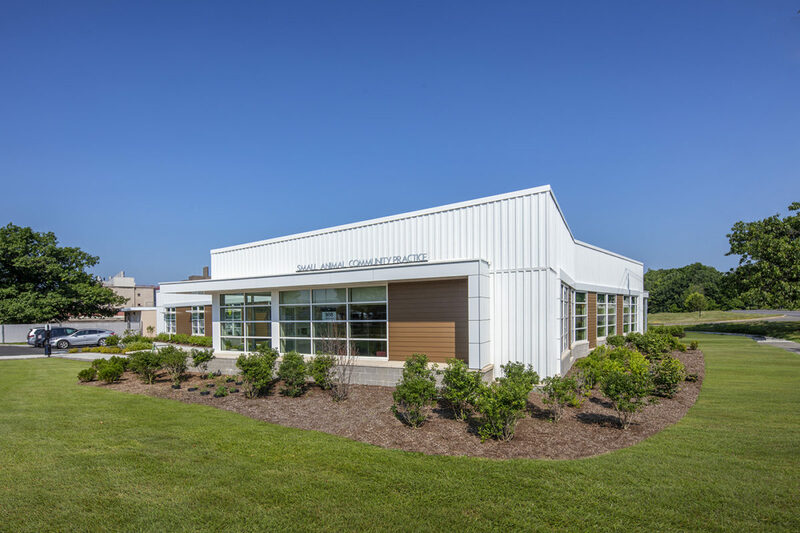 The facility provides a real-world veterinary practice for students and offers a fear-free and stress-free environment for pets and their owners. 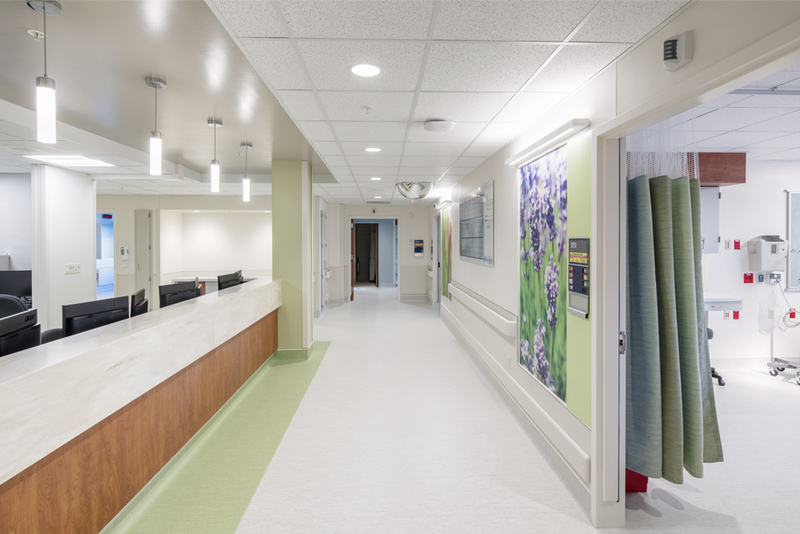 A bright and open waiting area offers a welcoming first impression. 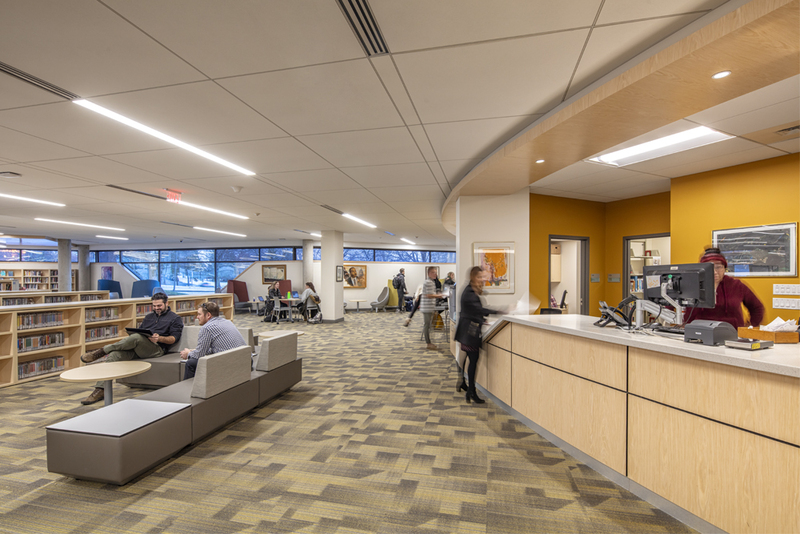 Light-filled corridors and rooms with specific materiality, furniture and fixture specifications aid in student productivity and canine and feline comfort. Click here to view more photos! 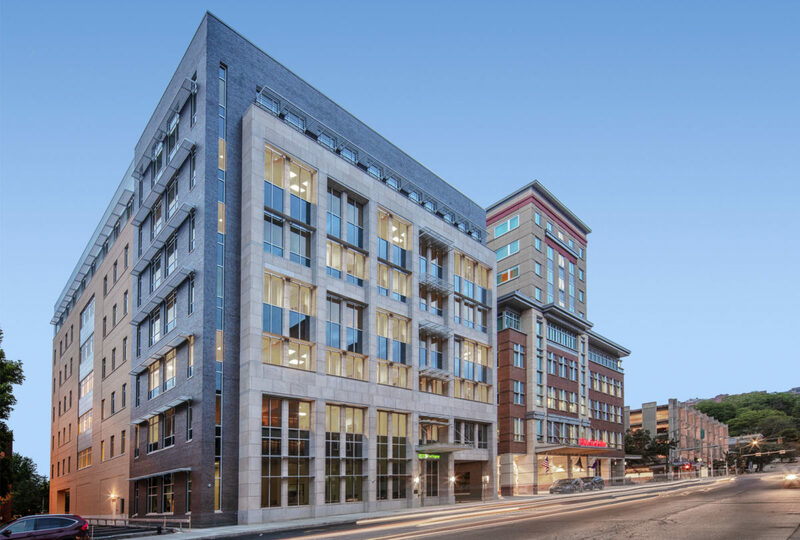 Tompkins Financial Corporation’s new state-of-the-art 7-story, 110,000sf headquarters building is one of largest new commercial buildings in downtown Ithaca, housing a ground floor retail bank, as well as offices, conference rooms, training rooms, and employee lounge spaces for its 300 employees. 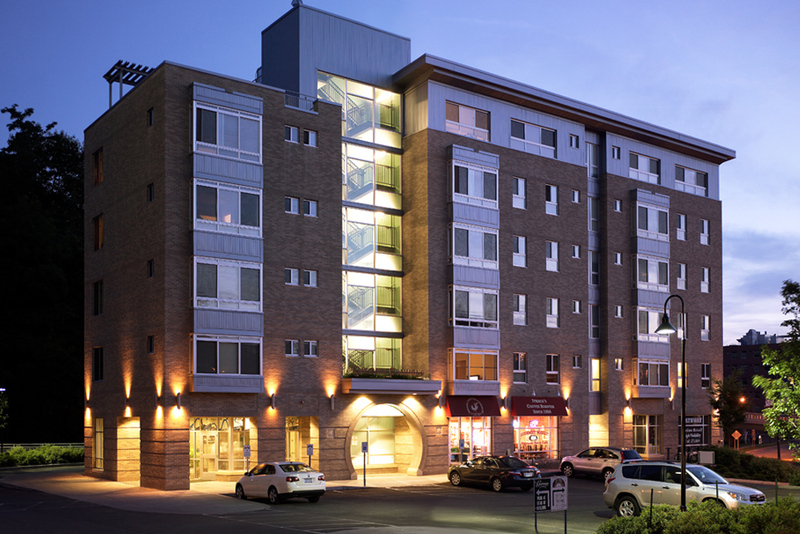 The landmark building seamlessly integrates with Ithaca’s established downtown environment by delicately balancing materiality and form and helps extend the cohesiveness of the city center. Click here to view more photos! Professional photography for all projects by Revette Studio, Syracuse, NY.